The majority of hotels have focused their efforts into providing an efficient and hassle free booking process. Modern website design and booking engine functionality has made booking with hotel a much easier process and while this is always a smart approach, some guests are looking for more. With the recent release of TripAdvisor September TripBarometer, it was found that 54% of travelers are looking for a more immersive experience from their hotel as soon as they book a reservation. But what does a more immersive experience look like? Guest are looking for their travel experience to start during the planning phase. Once they make the commitment to stay with your hotel, they have already begun the relationship process, and not just with you but your area. According to TripAdvisor, only 16% of hotels are taking advantage of this opportunity by providing guests with information or travel suggestions. Some properties have gone as far as mailing guests a welcome package prior to their stay. It doesn’t have to be anything elaborate or expensive, but tangible items go a long way. 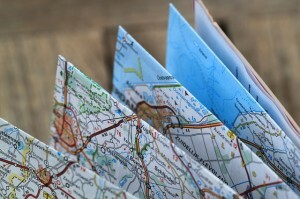 Simple things can go a long way like a map of the area, travel guides or tour vouchers for local attractions. If you don’t have the time or the budget for something like this a simple pre-stay email can provide the same information with a lot less effort from the hotel. You already have your guests email information, and along with their confirmation email you can send a digital welcome guide. TripAdvisor’s Review Express can do this automatically with each reservations, but there are free tools like MailChimp or Constant Contact that can accomplish the same tasks for a lot less. When traveling, 55% of guests are looking to explore a new environment as much as possible. They will opt for local dining experiences rather than eating at some chain restaurants or something familiar. Often times they will look to your staff for recommendations to get that local experience. Make sure your staff knows the a variety of local restaurants and can speak to specific dishes at each. Consider sending your desk staff to various restaurants to try new things, and pick up the check whenever possible. This can help keep your staff incentivized and happy at work. A knowledgeable and friendly desk staff is a great way to build that relationship between your property and your guests. Use this to your advantage whenever possible. If your website offers an area guide and highlights area restaurants include some recommendations or reviews from your staff. Guests are looking for to build a relationship with your property before they check in. Many are looking to be immersed in their travel experience from the time they book until they return home. With a little fine tuning these, or similar, ideas can help to separate your property from your competition and provide that extended guest experience. With a solid relationship your guests will keep coming back and as the word spreads, more will be booking as well.